Apostacy (Apostasia) …the falling away or departure? We read in 2 Thessalonians 2:3 that the End of the Age will not end until first comes a “falling away.” The “falling away” comes from the Greek word “apostasia” and from two Greek root words; “apo” – means, “to depart from.” And, “stasis” – means “the stand or state of.” So, Apostasia (Apostasy) means; “to depart from one’s stand and from one’s state!” Therefore, before the End of the Age there will be a mass departing, a moving away from the faith – from the Word of God and from the truth! The first meaning of “apostasia” has to do “faith” and the Word of God and the second - the departure from the state of being.” We as believers MUST stay connected to the Word of God as it is our life support, not only in this life but Eternal Life. Especially in these lawless and rebellious days we see “apostasy” on the increase as the world turns away from God through sin and rebellion. “Watch, therefore, and pray always that you may be counted worthy to escape all these things that will come to pass and to stand before the Son of Man," Luke 21:26. Israel had always to look back on its history in order to understand its future! It’s annual Feasts especially were both a remembrance of its past as well as an anticipation of things to come! 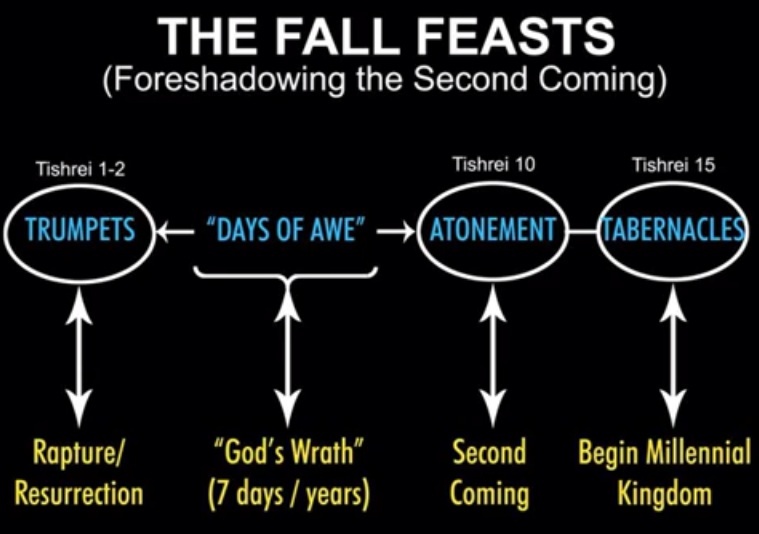 The Feasts of the Lord are described as “signs” and “appointed times” (Exodus 31:13; Leviticus 23:2). “Signs” are a visible or present assurance of a future promise, while “appointed times” designate specific events of future ordained by God in the fulfilment of His prophetic plan (see for example Exodus 9:5 and Habakkuk 2:3, where the same word is used). “Remember the former things, those of long ago; I am God, and there is no other; I am God, and there is none like Me. I make known the end from the beginning, from ancient times, what is still to come. I say; ‘My purpose will stand, and I will do all that I please,’” Isaiah 46:9-10. God placed many “timetables” in the Scriptures; You can see an unfolding of the six thousand years of man’s history in the first six days of creation. An unfolding of Church history is seen in the birth of Jacob’s twelve sons (in their sequence, the meaning of their names, and the prophecies given to each one by Jacob and Moses). You can see it in the Tabernacle of Moses, and in the seven churches the Lord addressed in Revelation. You can also see a timetable of history in the Feasts where the Lord commanded the children of Israel to observe. It was NOT just a coincidence that Yeshua (Jesus) was crucified at the Passover (Spring Feasts) or that the Holy Spirit fell on “Shavuot - the Day of Pentecost” (Summer). These Feasts prophetically foretold these events, and the Lord is always right on time! However, there was a 3rd Feast (Fall Feasts) which came at the end of the Jewish / Biblical Calendar Year. The Feast of Tabernacles is also called “The Feast of the Ingathering.” It was called this because it was a celebration of “the harvest” which had just come in! 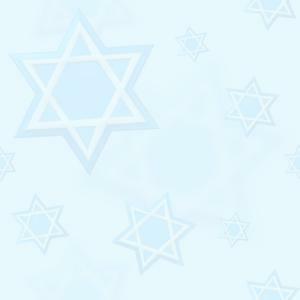 The Jewish or Biblical Calendar Year ends in late September or early October of the Gregorian Calendar). This Feast came at the end of the Biblical Calendar Year as a “prophecy of the harvest” that would mark the End of this Age! During the Feast of Tabernacles, the nation of Israel was called to leave their individual tribes and usual dwelling places to come together as one nation to worship God in more or less common dwellings. In this way, there was a freedom for them to all get to know each other on a personal, individual basis without the convenience of their homes. The nobles and the wealthy would all live-in tents during this time right next to the less fortunate or less powerful. This promoted a fellowship that would have otherwise not been very likely. As we approach the End of this Age, the Lord is calling His people to do the same. God speaks to us through “signs in the heavens” but are we listening? “And there shall be signs in the sun, and in the moon, and in the stars; and upon the earth distress of nations, with perplexity; the sea and the waves roaring; Men's hearts failing them for fear, and for looking after those things which are coming on the earth: for the powers of heaven shall be shaken,” Luke 21:25-26. In Jewish tradition, a total “Solar Eclipse” is a warning to the Gentiles and a sign of judgment on the nations. Jews traditionally interpreted “Solar Eclipses” to be the result of human sin angering God, who would then hide the sun as a warning to His people (according to the Babylonian Talmud). Ancient Hebrews knew that Eclipses could be predicted, but still believed they were a sign! “When the luminaries are stricken, it is an ill omen for the world. To what can we compare this? To a king of flesh and blood who prepared a feast for his servants and set a lantern to illuminate the hall. But, then he became angry with them and said to his servant: ‘Take the lantern from before them and seat them in darkness! '” (Talmud, Sukkah 29a) The text goes on to state that “Lunar Eclipses” are ill omens for Israel, since Jews follow the Lunar Calendar (moon), while Solar Eclipses are ill omens for non-Jews, or Gentiles, as they followed the Solar Calendars (sun). Signs in the Sun… On the 21st August, 2017 – America had a "Total Eclipse" as darkness fell during daylight from coast to coast for the first time in 99 years and it occurred on the 1st day of the 40 days of "TeshuvaH" (Repentance). When we look at where the "path of totality" or darkness was; the "Total Eclipse" across America …and "Partial Eclipse" in northern European countries like England and Sweden. Europe especially should take heed as well! What is TeshuvaH? Teshuvah comes from the Hebrew word "shuv" meaning "to return!" And, "Hey," the last letter of the "Jehovah" name for God. The "HEY" in "JHVH" represents the "Shekinah," or "manifest presence of God." So, the 40-day "season of repentance," means to "return to God," and, begins on the first day of the sixth month known an Elul. 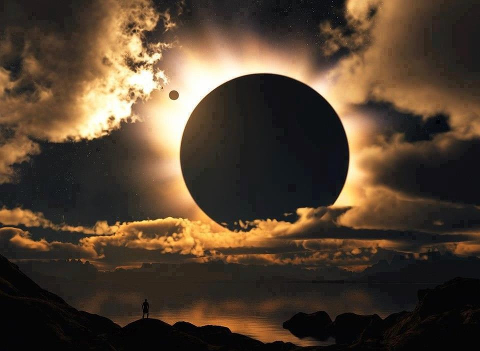 The Solar Eclipses which occur on Teshuvah add to the meaning. Thus, Teshuvah is "a time to return to the presence of God!" It is also understood that returning to God is accompanied by repentance. The Teshuvah Eclipses are signs of coming judgment, like the Trumpet’s Eclipses …but are also signs of unity in the presence of God! The Teshuvah Eclipses are both an invitation to return to God and a warning of judgment. Here we can ask the question - did God call America to 40 days of repentance since the Eclipse coincided with Teshuvah? Nothing is just coincidence with God! "If my people who are called by my name will humble themselves and pray and seek my face and turn from their wicked ways, then will I hear from heaven and will forgive their sin and heal their land," 2 Chronicles 7:14. The days of Teshuvah… fall at the end of the Biblical year and is a prophetic reminder that every year the Jewish people "return" to the Lord …not only in the beginning of the New Biblical year cycle (Rosh HaShanah) – (late summer / early fall or autumn at the end) with 40 days of prayer and repentance. Here we see there is a mystery that the End is also the Beginning… and lies a question prophetically yet to be fulfilled that the Jewish people did NOT, as a whole, come to the Lord Yeshua their Messiah at the beginning …but they WILL at the End of the Age as a nation. It also has a physical return, which we are witnessing in our day …the return of the Jews to the land of Israel and to the City of Jerusalem. On the 23rd August, Jared Kushner – Senior Advisor (and son-in-law) to US President Trump met with Prime Minister Bibi Netanyahu in Jerusalem …and later that day with Palestinian President Abbas in Ramallah to re-start the so-called "Peace" process. Both sides and the mainstream media tried to give a positive spin …but, there was every indication that the meeting between US special envoy Jared Kushner and Palestinian leader Mahmoud Abbas was just as stormy as the first time the two men got together back in June, 2017. Signs on Earth… Late Friday the 25th August, "Hurricane Harvey," the first major hurricane storm to make landfall in the United States in more than a decade. It made landfall near Corpus Christi on the Texas coast as a Category 4 Storm, 4 days after the Total Eclipse in America, 4 weeks before the Feast of Tabernacles. After destroying homes, overturning vehicles and sinking boats, severing power lines and forcing tens of thousands of residents to flee their homes the devastating storm Harvey moved on and Houston was flooded and dams filled to capacity began overflowing. It was so heart-breaking and couldn’t even imagine the suffering even as we watched the devastation unfolding on television. Though later downgraded to a tropical storm that lingered over Texas with record amounts of rain that spawned even more destruction in the form of catastrophic flooding, the worst in America’s history! How sovereign is God? Is His creation purposeful or meaningless? Does He allow co-incidence? The Hurricane Harvey struck between Corpus Christi, which is Latin for "The Body of Christ," and Victoria, which is Latin for "Victory." Harvey means "Blazing Iron," Citizens of "Corpus Christi" were told to evacuate and many heeded the warning (the Body of Christ was evacuated!). In Revelation 12:5 we discover that the "victorious Body of Christ will rule the nations with a rod of iron" (see also Revelation 2:26). Now let's continue to be amazed... It started with the Eclipse, which occurred on August 21 and the week ended with the sea and waves roaring on August 25; "There will be signs in the sun, moon and stars. On the earth, nations will be in anguish and perplexity at the roaring and tossing of the sea," Luke 21:25. If 2,000 years ago "wise men" from the East were those who were aware of Yeshua (Jesus) First Coming and they followed the "signs in the heavens" and found the new-born King. This time around we as Believers in Yeshua should discover the "signs in the heavens" and are following those signs to their conclusion - perhaps a foreshadowing of Matthew 8:11, 24:27 and Luke 13:29. We read in Daniel 12:4 that prophetic knowledge would be "sealed up" until the "Time of the End" …and then that knowledge would be unsealed and increase among the wise (Revelation 22:10). The wise will understand and instruct many (Daniel 11:33. 12:10). We think we're there! Hurricane Irma (means "Goddess of war") a catastrophic storm on the 08th September, 2017 as a Category 5 as it tore through the Caribbean Islands, Bahamas, Cuba, Florida Keys …and later downgraded to Category 4 as it hit Miami Florida, Naples, Tampa and then moving further north into land leaving behind carnage and flooding with storm surge. As America was remembering 9/11 – 16 years ago (2001), Irma was still a strong storm leaving devastation. And, on the horizon were Hurricane Jose (means "God gives increase") and Hurricane Katia (means "pure" or "purifying") approaching! The world watched and prayed with America as hurricanes, tornadoes, fires and floods were all happening at the same time. Was God trying to get America’s attention...? A man with a measuring line… In the Book of Zechariah, we read an incredible passage where the LORD declares that Israel is the “apple of His eye” …and that disaster is waiting for all those who dare to plunder her! “Then I looked up, and there before me was a man with a measuring line in his hand. I asked, “Where are you going?” He answered me, “To measure Jerusalem, to find out how wide and how long it is.” While the angel who was speaking to me was leaving, another angel came to meet him and said to him: “Run, tell that young man, ‘Jerusalem will be a city without walls because of the great number of people and animals in it. And I myself will be a wall of fire around it,’ declares the Lord, ‘and I will be its glory within.’ “Come! Come! Flee from the land of the north,” declares the Lord, “for I have scattered you to the four winds of heaven,” declares the Lord. “Come, Zion! Escape, you who live in Daughter Babylon!” For this is what the Lord Almighty says: “After the Glorious One has sent me against the nations that have plundered you - for whoever touches you touches the apple of his eye,” Zechariah 2:1-8. The Bible says when we mess with Israel, we mess with God Himself! In Joel 3:1-2, God talks about those who would dare to part “My land!” And, just as He foresaw the mad rush by political leaders living in the “End-Times” to divide Jerusalem and take Israel for themselves and their own purposes. Who claims ultimate ownership of the land of Israel? It's not the Jews and it is certainly not the Muslims! It is Almighty God who says that it is His land, and He alone will make the final decision on who gets it! True, God has given it to Israel for an “everlasting possession” …but not even Israel can give it away! The assassination of Yitzhak Rabin took place on 04th November, 1995 at 21:30, at the end of a rally with US President Bill Clinton, and Palestinian leader - Yasser Arafat in support of the Oslo Accords at the Kings of Israel Square in Tel Aviv. Truly a deal made with the Devil! The assassin, Yigal Amir, a right-wing religious Zionist strongly opposed Rabin's “peace initiative” and particularly the signing of the Oslo Accords. And, everyone knows the shame of Clinton’s impeachment that also followed! US President George W Bush put great pressure on Israel to withdraw from Gaza! On 17th August, 2005 - nearly 10,000 Israeli soldiers and police officers began the forcible evacuation of Israeli’s living in Gaza, carrying some screaming from their homes in scenes that moved a number of the soldiers to tears. After months of argument and political manoeuvring, the Israeli forces moved in strength, but without weapons, to carry out the will of the government to give up part of the territory that Israel conquered in the 1967 War. Even the graves of dead Israeli’s were dug up and homes destroyed. Israel’s former Prime Minister Ariel Sharon's fell into a coma after a massive stroke at the age of 81, in 2006 only a few months after he agreed to the Israeli withdrawal from Gaza for so-called promise of “peace.” He passed away NEVER regaining consciousness from the coma on the 11th January, 2014. He was elected Prime Minister in 2001 as head of Likud, but abandoned his old party after making enemies when he backed the withdrawal from Gaza. He formed the new party Kadima to run in the 2006 elections. The popular leader seemed destined for re-election with his new party when he suffered a severe brain haemorrhage. On the 23rd August, 2005 only 5 days after Israel was forced to leave Gaza - Hurricane Katrina Category 5 - an extremely destructive and deadly tropical cyclone struck America and was the costliest natural disaster and one of the 5 deadliest hurricanes in the history of the US! And, today, thanks to President George W. Bush, Israel now has HAMAS terrorists on its border shooting rockets over and building terror tunnels from Gaza into Israel to kill Israeli’s. Gaza belonged to Israel! The common link between Rabin's assassination and Sharon’s coma …is that in both cases these leaders, who were serving as Israel’s Prime Minister – each attempted to divide the land for peace and God simply would not allow that to happen. We believe with all our hearts that the current Prime Minister of Israel, Bibi Netanyahu, is appointed by God for Israel and in the right place and the right time – for today! If he continues to do the right thing for Israel, God will continue to bless him. But, should he be tempted to cave in, what must be unbelievable pressure from the US, UN and International Community to create a Palestinian State …he need only to look to the fate that befell Rabin and Sharon! “Rosh HaShanah / Feast of Trumpets” is the anniversary of creation (the Biblical year 5777 ends and on 21st September the New Biblical Year 5778 begin) …is Israel’s dark day as it is the only Feast that occurs at the “New Moon,” when the primary night light of the heavens are darkened. The Feast of Trumpets begins at the end of the Biblical Year and a new cycle of the next Biblical year begins. So, you see the Feast of Trumpets announces the closing of a cycle and so too will it announce the closing of the Age. Israel’s prophets repeatedly warned of “a coming dark day of Judgement” and they knew it as the “Day of the Lord” – a terrible period of time at the “End of this Age” when the Lord will pour out His fiery judgement. The Great Day of the Lord will be a time when the Lord pours out His wrath NOT only against Israel’s enemies, but also upon Israel herself to bring her to repentance and to recognize her Messiah, Yeshua. The prophet Amos spoke of this “dark day” of judgement; “Woe to you who desire the day of the Lord! For what good is the day of the Lord to you? It will be darkness and not light. It will be as though a man fled a lion. And, a bear met him! Or as though he went into the house, leaned his hand on the wall, and a serpent bit him! Is not the day of the Lord darkness and not light? Is it not very dark, with no brightness in it? – Amos 5:18-20. The prophet Zephaniah wrote this ominous warning; “The great Day of the Lord is near… That day is a day of wrath, a day of trouble and distress, a day of devastation and desolation, a day of darkness and gloominess, a day of clouds and thick darkness, a day of TRUMPET…” - Zephaniah 1:14-16. But, even as the darkening of the moon in the night heavens announces, the Feast of Trumpets, so too, the heavens will be divinely darkened in a future day as the Day of the Lord commences. 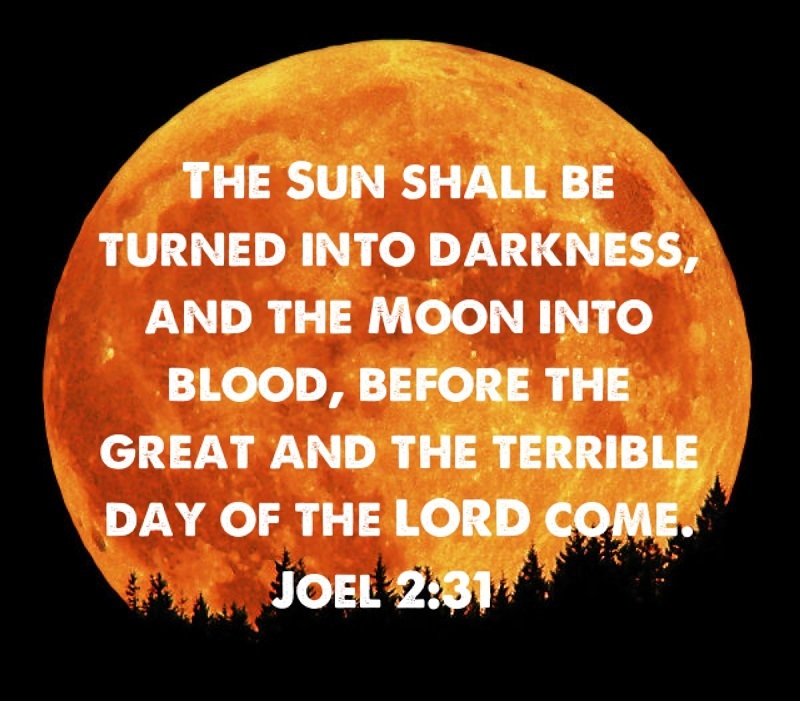 Joel revealed, “The sun shall be turned to darkness, and the moon into blood, before the coming of the great and awesome Day of the Lord,” Joel 2:31. See also: Isaiah 13:9-10; 34:4, 8; Joel 3:15 and Acts 2:20. The Apostle John also described this cosmic disturbance and “darkness” which will announce the Great Day of the Lord in Revelation 6:12-17. 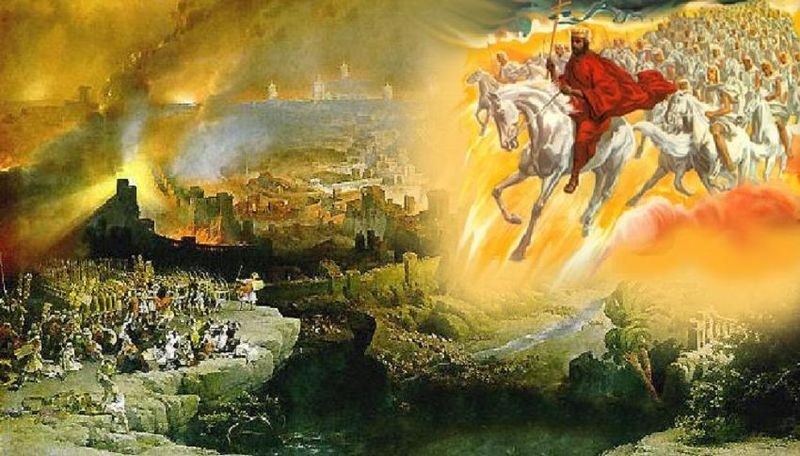 The day is coming when the Lord will switch off the natural lights of heaven and pour out His wrath with relentless fury upon this wicked unrepentant world as the Messiah returns to set up His Kingdom. It will be Israel’s darkest day …her “Days of Awe” as God’s wrath prepares her for repentance in a Day of Atonement! Scripture often speaks of men blowing “Trumpets” or “Shofars” …yet it is twice recorded that God blows a “Trumpet (Shofar)!” The first occasion was at Mount Sinai when the Lord revealed Himself to Israel from heaven and prepared to bring the nation under the Old Covenant (Exodus 19:18-20). The next occasion will be when the Lord will blow the Shofar at the Messiah’s return. The Lord will once again descend from heaven with the whirlwind, the clouds of His glory fire and sound of the trumpet (Zechariah 9:14). 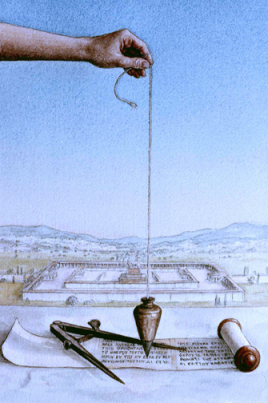 Ancient Jewish tradition held that the “resurrection of the dead” would occur on Rosh HaShanah – The Feast of Trumpets. Reflecting this tradition, Jewish gravestones were often engraved with a shofar. God’s last trump and the “resurrection of the righteous” are intricately connected to the Rapture of the Church in the New Testament (1 Corinthians 15:51-52; 1 Thessalonians 4:16-17). The blowing of trumpets (shofars) in Israel was used to announce the coming of kings and kingdoms as well as for battle and the approaching of armies. So, it is prophesied that when the “last trumpet” sounds – the Kingdom of God will come! The trumpets called the people of Israel to gather before God …so at the sound of the trumpet, God’s true church and people will be gathered up in the “rapture” into God’s presence. In Israel, the trumpet sound was also a “wake-up” call and thus the “dead in Christ” will be woken and arise. The trumpet sounding in Ancient Israel also sounded to indicate the reign of the King to is about to begin (2 Samuel 15:10) and so we believers look towards… “the kingdom of this world WILL become the Kingdom of our Lord! Halleluyah! Revelation 11:15. As the sun sets signalling the end of Yom Kippur (Day of Atonement), in Israel, the Jewish families drive the first nail of their Sukkah Booths. They believe that it is a duty to begin building the tabernacle tent or booth after the Day of Atonement – Yom Kippur even if it is a Sabbath eve, the booth is still started …because one should NOT delay in the fulfilling a commandment of God when one has the opportunity to do so immediately! Such is the expectation, the joyful relief that is attached to the “final” Feast of Tishri – Sukkot (Tabernacles) which this year begins on the evening of the 04th until the 12th October, 2017. The temporary home, the Sukkah or booth reminds us of “humility” that we must have before God. We must not say in our hearts, “My own power and might of my own hand won this wealth for me,” Deuteronomy 8:17. We should remember that everything comes from God! It’s interesting to note that the root word for the Hebrew word “Moed” - “Feast” …means “to keep an appointed time, place or meeting!” God made appointed times with His Covenant people to meet with Him at certain times and He told them to come to Him and gave the exact days when they should come and even how these Feasts should be observed. When we – Jew or Gentile, keep our appointments with God we really “Feast” with Him. 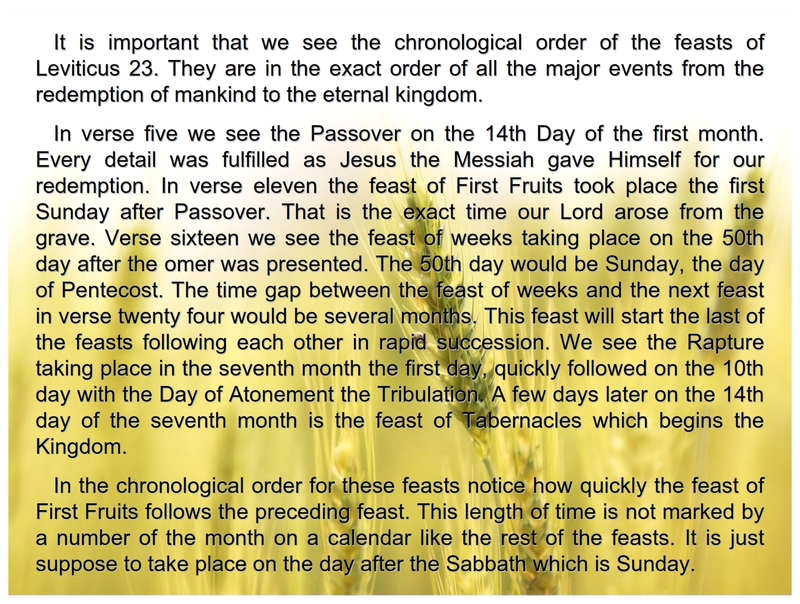 All these Feasts point to the Messiah Yeshua (Jesus) and so as Christians we must see them as prophetic …pointing us to things that have been (Passover – death and resurrection of our Lord), that are now (Pentecost – the Holy Spirit and the Church) and that are yet to come (Tabernacles – the Lord’s soon return)! These three are Major Harvest Feasts (Leviticus 23:15, 16) commanded by God with a promise of blessing! 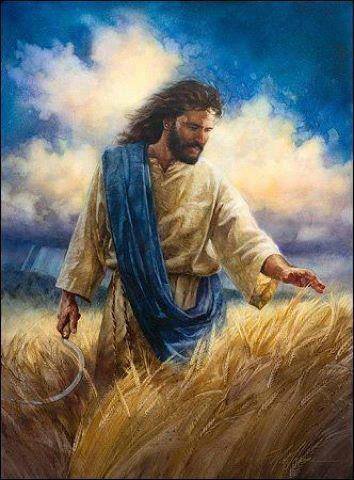 Each person on earth – Jew or Gentile, will participate in an End-Time harvest; Jesus told them another parable; “The Kingdom of Heaven is like a man who sowed good seed in his field. But while everyone was sleeping, his enemy came and sowed weeds among the wheat and went away. When the wheat sprouted and formed heads, then the weeds also appeared. “The owner’s servants came to him and said, ‘Sir, didn’t you sow good seed in your field? Where then did the weeds come from?’ “‘An enemy did this.’ He replied. “The servants asked him, ‘Do you want us to go and pull them up?’ “‘No,’ he answered, ‘because while you are pulling the weeds, you may root up the wheat with them. Let both grow together until the harvest. At that time, I will tell the harvesters: First collect the weeds and tie them in bundles to be burned; then gather the wheat and bring it into my barn,’” Matthew 13:24-30. Here we see in the prophecy of the “wheat and tares” that a person is either wheat bound for heaven, or a weed bound for hell. Yeshua (Jesus) later interpreted this parable, making its meaning clear; “Then he left the crowd and went into the house. His disciples came to him and said, “Explain to us the parable of the weeds in the field.” He answered, “The one who sowed the good seed is the Son of Man. The field is the world, and the good seed stands for the sons of the Kingdom. The weeds are the sons of the evil one, and the enemy who sows them is the devil. The harvest is the End of the Age, and the harvesters are angels,” Matthew 13:36-39. The Bible frequently mentions “harvest time” … One interpretation of the harvest is that of souls entering the kingdom - Christ stated that the harvest is ready …but the labourers are few. That is but one side of the harvest though, the Lord also frequently referred to us as being the seed (and the fruit of the Vine) and of course the harvest from the perspective of the seed or fruit, is rather different than the perspective of a labourer! Harvest is a time of great joy and satisfaction for the labourer. However, we are not the ones that the harvest is for …the harvest, the fruit, is always for God alone! He provides not only the Seed, but also the soil, sun, rain and the workers …and the only way in which we may be partakers of the “joy of the harvest” is by knowing God’s heart and experiencing it with and in Him! Harvest for Israel was a time for bringing in not only the grain, but also the grapes and the olives. These three are represented in the Old Testament by the offerings of grain, wine and oil which were required in the temple. The harvest of grain would be harvested, crushed and ground into flour. The grapes would be cut from the vine, trodden on and the juice used. The olives would be shaken or beaten from the tree, pressed between a rock and a stone and the oil extracted would be kept. The grain would be used for the bread; the grapes for the wine; the oil for - bread, light and Anointing. So, while the harvest is a time of great joy for the harvester - for the fruit or seed it may not initially appear to be a time of happiness at all. God's ways are not our ways! Harvest time for the grain is a very painful, perplexing and difficult time. The seed experiences painful separation. It has had a sword cut between the soul and spirit and it has had the scythe cut it off from its roots in the earth and from the plant that it had been part of and had grown from. It has been separated from all that it has known and been comfortable with. The stalk has been cut off from the natural life source it had relied and depended upon and is now dead and is nothing in itself except for the precious grain, the “Seed of Life” which it carries. The rest of the plant can be burned, for only the seed is what is important. This season of “harvest” for a believer – like the seed, is about literally “dying to self” and being transformed through Christ's Resurrection by then living for Him! The 7th and final Feast of the Lord - Feast of Tabernacles (Sukkot) is the culmination of all the Biblical holy days and therefore this final Feast represents the “final stage” of God’s plan of salvation. It is also the most “joyful” and most prominent Feast – mentioned more often in Scripture than any of the other Feasts. “Joy” was two-fold, for it commemorated God’s past goodness and provision during 40 years in the wilderness sojourn and it commemorated God’s present goodness and provision with the completion of the HARVEST! This Feast also served as the historical backdrop for the Messiah’s teachings in John chapters 7-9. Let’s ponder here; What does the “Promised Land” symbolize? Heaven! What does the “wilderness” represent? Our days on earth – sojourn journey to heaven! So, if those living in the Promised Land (Israel) today - just like the Israelites who lived in tabernacles or booths or Sukkah’s in the wilderness on their way to the Promised Land (Israel) lived in “tabernacles” (tents) to remember how God kept them … will not we in heaven remember our days on earth and give thanks to God for keeping us through our journeying there? You see in the Feast of Tabernacles the two realms; the Promised Land and the Wilderness come together and that mystery of heaven and earth are joined! What we do in the earthly realm touches the heavenly realm …and, what is done in the heavenly realm touches the earthly realm. The Great “Soul Harvest” of the Tribulation… “Behold a great multitude which no one could number, of all the nations, tribes, peoples, and tongues, standing before the throne and before the Lamb, clothed with palm branches in their hands,” Revelation 7:9. The Tribulation could usher in such an enormous soul harvest and more men and women will be won to Christ during that period than at any time in history. God could pour out His Spirit in “a flood” of conversions! Even in an Old Testament setting, this was proved in Jonah's day when the Lord spared the City of Nineveh after the prophet Jonah preached to its people; “Yet forty days, and Nineveh shall be overthrown!” Jonah 3:4. The Bible says the inhabitants of that wicked Assyrian City heard Jonah, and; “believed God, proclaimed a fast, and put on sackcloth, from the greatest to the least of them,” Jonah 3:5. And how did God respond to such earnest repentance? “That God saw their works, that they turned from their evil way; and God relented from the disaster that He had said He would bring upon them, and He did not do it,” Jonah 3:10. Another Old Testament prophet, Joel, predicted a “worldwide soul harvest” for the “Time of the End” in Joel 2:28-32. A partial fulfilment of this prophecy took place on the Day of Pentecost (Acts 2:16-21) …but its full manifestation awaits the day of these 144,000 Jewish witnesses of Revelation 7. Their preaching of the everlasting gospel will be so clear and so powerful that it will result in the conversions of “a great multitude” which no one could number” from every nation on the face of the earth! After the great war of the End-Times (Armageddon) and the Second Coming of Yeshua (Zechariah 14:1-15) those who survive of all the nations will go up to Jerusalem to worship and celebrate the Feast of Tabernacles (Zechariah 14:16-21). That celebration takes place in the Millennial Kingdom. There will be a Feast of Tabernacles in the Millennium! The Feast itself is a foreshadow of that Kingdom! We are told to gather “fruits of the harvest” to wave them as a thanksgiving before the Lord (Leviticus 23:40, Nehemiah 8:15). There is particular mention of “palm branches.” When Yeshua (Jesus) entered Jerusalem, riding on a donkey (Zechariah 9:9), the Disciples greeted Him by waving palm branches (John 12:13). There were two problems with that entry… First, the Lord came in on a donkey, instead of a white horse (Revelation 19:11). Secondly, it was on the wrong day – as the waving of palms is for Sukkot (Feast of Tabernacles), not Pesach (Passover). Prophetic symbolism leads to the following understanding that was not the final triumphal entry …but a humble entry! There WILL be another entry when Yeshua will enter in “triumph,” as a King on a white horse, on the first day of the Feast of Tabernacles. Not only will a few Jewish disciples wave palm branches, but the righteous remnant of every nation! God is Still in Control… Despite the numbers of Saints who will lose their lives in the Tribulation - God is still very much in control throughout the whole period and even today as we see Christians persecuted for their faith. Note the careful language both Daniel and John use to describe the Antichrist's power over the people of God; “The saints shall be given into his hand,” Daniel 7:25. And, the words of the Apostle John; “…it was granted to him (antichrist) to make war with the saints!” Revelation 13:7. Both of these scriptures stress that the Antichrist does nothing without the permission of God! The Beast does not tear the saints from God's grasp, nor does he somehow out manoeuvre the Lord. The Tribulation saints are in the same position as was the Lord when he stood before the Roman governor Pilate. The arrogant Pilate demanded of a silent Yeshua (Jesus), “Do you refuse to speak to me? Don't you realize I have power either to free you or to crucify you?" To which Jesus replied authoritatively, “You would have NO power over me if it were not given to you from above,” John 19:10-11. That is exactly the situation of these Tribulation saints. The Antichrist would have NO power over them unless it had been given to him by God. In fact, God's control of His people's lives extends to the exact number of believers who will be martyred. That is what Revelation 6:11 has in mind when it reports that the martyred saints will be told in heaven to; “Rest a little while longer, until both the number of their fellow servants and their brethren, who would be killed as they were, was completed.” That is total control! God’s Word is true! He IS watching to see how the nations are treating His people. God will have mercy on Israel through Gentile believers acting as mediators towards them. This is one of the most amazing revelations ever given to the church – an opportunity to do something that carries the highest priority in the heart of God. Yet, sadly, so few have seen the potential and the rewards of serving God in this manner - as agents of mercy to Israel and the Jewish people! Israel was and still is despised today and a despised nation continually turning away from God but nothing ever altered the purpose of God for that nation. The despised element is always a noticeable element in the purpose of God. When the Saviour of the world came, He came of that despised nation; like Israel… He Himself was “despised and rejected by men,” …and there is that despised element; “…things that are despised God has chosen,” 1 Corinthians 1:28.